Ellie is one of our more spectacular, if petite, placements. Three years after we introduced her to the Meals On Wheels Association of America (now Meals on Wheels America), she continues to delight her board, membership and staff. Her dynamism, enthusiasm and accomplishments are inspiring. She has gracefully led the Association to an increased professional environment with a strong appreciation for work/life balance, resulting in improved staff morale. She has recruited funders such as The Home Depot Foundation, AARP, the West Foundation and West Health. Under Ellie’s leadership, the organization has experienced a 50% increase in revenue, grown in size by 66% and undergone many significant transformational changes. 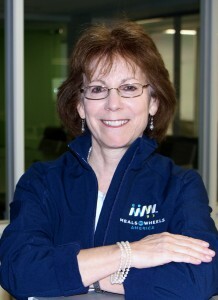 A full rebrand and association management systems upgrade continues to position Meals on Wheels well for opportunities such as a highly-coveted Ad Council campaign designed to recruit much-needed volunteers for the network. Ellie joined Meals on Wheels from Good360, where she served as Chief Strategy Officer and Executive Vice President of Business Development. She previously held roles at AARP where she helped it earn recognition as a “Top Place to Work” by CEO Update and gained a spot on DiversityInc’s “List of Top 50 Companies,” the first nonprofit to do so. Ellie launched her career in the utilities sector . . . perhaps that’s where she got such a sparkling energetic personality. Ellie earned a BA with double-majors in Economics and French from Duke University and later graduated from the Duke Fuqua School of Business’ Advanced Management Program. Honored by the Washington Business Journal as one of its “Women Who Mean Business,” Ellie is a member of the George Washington University School of Business Corporate Collaborative Council, a former member of the Board of Directors for the International Association of Corporate and Professional Recruitment and a former member of the Board of Gifts In Kind International. Ellie and her partner Jennifer are delighted daily by their daughter Brydon, who is an aspiring ballerina at age 13. At age three, I insisted my family call me Ellie as my given name Ellen was far too stern. From the get go I saw myself as friendly and approachable. As an athlete in high school I sustained some pretty serious injuries and underwent several knee surgeries. These experiences led me to want to be a doctor and more specifically an orthopedic surgeon. I took a pre-med class my freshman year Duke taught by Dr. Frank Basset. Our first lab had cadavers and parts of cadavers, and that was the end of my medical aspiration. I did, however with much help from my friends, complete the class! I want to be the best person I can. I always want to give a 150% and take every experience as a learning opportunity. I’d keep the bad experiences because they helped me to grow. Learning has no limits. I’ve lost a lot of good friends and relatives this year so I picked up “Tuesdays with Morrie.” Some of the best conversations I’ve had are when we know the end is near. I’d go someplace warm, exotic and tropical. The Virgin Islands or the West Indies. My dad’s health is beginning to fail and I’m the child that lives closest to him. It is challenging to balance my duties as a partner, a CEO, a mom and a daughter. My father. He is celebrating his 100th birthday this January. He had three careers, two of which were in civil service, and retired at age 92. He was the longest serving US Attorney in the Department of Justice. He has a remarkable memory and work ethic. He has written three oral histories of his own life. I always wanted to fly. When I was little I would study Mighty Mouse and Superman for clues to flight as I was 100% certain I could fly if I tried hard enough. You’re invited to a state dinner at the White House and cannot take your spouse? Who is your date? Brydon my 13-year old daughter. She is charming, poised and interesting. She can engage people in conversation. Her poise goes way beyond her years. Laura Nyro is my favorite artist of all time. She wrote many songs for the Fifth Dimension, Barbra Streisand, Three Dog Night, Blood Sweat and Tears and Peter, Paul and Mary. Hers was the first concert I went to.